Cambridgeshire is suffering ‘reputational damage’ according to the county’s mayor as he revealed the Government is withholding funding for the county’s Local Enterprise Partnership (LEP). James Palmer, Mayor of Cambridgeshire and Peterborough, said he was “greatly concerned” that £37.2 million of funding for the LEP, which drives wealth and jobs creation in the county, was being frozen by the Government following a review into the organisation. Mayor Palmer accused the LEP of no longer fulfilling its purpose to support local businesses as he called on it to form a ‘single umbrella’ with the Cambridgeshire and Peterborough Combined Authority which he heads up. The LEP already has a seat on the combined authority. 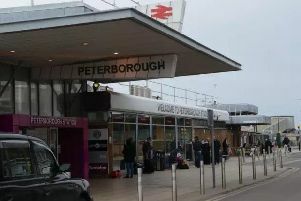 In an open letter to the Greater Cambridge Greater Peterborough Enterprise Partnership, Mayor Palmer said: “I understand that the significant growth funding that has been secured for the area is frozen and regrettably the organisation appears to have the lost confidence of local and national stakeholders. “It is clear that GCGPLEP is no longer able to fulfil the purpose for which it was established and specifically to provide much needed help and financial support for local businesses. “Furthermore, the current position is creating reputational damage and will inhibit the ability of the area as a whole to attract inward investment at a time when we face such a huge deficit in our infrastructure. Mayor Palmer said he wants the LEP to call an “urgent, extraordinary meeting” of its board for him to present his proposals which include creating a Business Board to deliver the national and local industrial strategy. a “single pot approach to funding”, a shared approach to spatial planning and a shared officer structure, albeit both organisations would retain operational independence. An LEP spokesperson said: “The Greater Cambridge Greater Peterborough LEP has been working on plans to clearly set out how we can effectively work with the Cambridgeshire and Peterborough Combined Authority, which covers 50 per cent of its area, for some time now. “As always, we welcome the opportunity for collaborative working with a focus on delivering economic growth across the entirety of our patch. “We successfully work with our neighbouring LEPs on projects that deliver outstanding results, such as our Eastern Agri-Tech Growth Initiative and the East of England Science and Innovation Audit. accountable body which had not identified these issues. The spokesperson said the LEP’s Section 151 officer had written to the Government on July 25 to say the issues had now been addressed and that it was waiting to hear back. The £37.2 million of funding currently being withheld is for future and not current projects, she added. The LEP is also being reviewed as a case study by the National Audio Office as part of a wider review into LEPs across the country, according to the spokesperson.